Breakthrough is the true story of one mother’s unfaltering love in the face of impossible odds. Will this film of hardship and faith be one you'll want to see? The Plugged In Movie Review will give you all you need to make sure that the moviegoing odds are in your favor. Bob Waliszewski is director of Focus on the Family's Plugged In department, which features the Plugged In Online Web site, PluggedIn.com. The site provides up-to-date reviews of new movie releases and information on the hottest music, television, DVDs and video games impacting popular youth culture. Bob reaches a large radio audience weekly with his syndicated "Plugged In Movie Reviews" feature (both audio and video versions), as well as serving as a weekly guest of Focus' popular "Weekend Magazine" radio program. 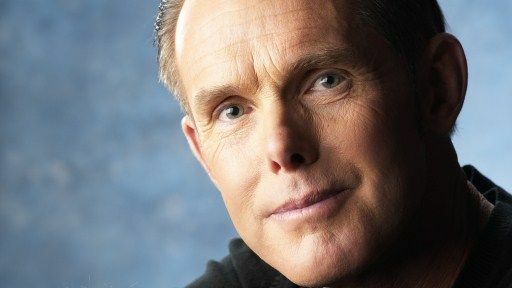 As spokesperson for Plugged In, Bob has been interviewed extensively by media outlets such as CNN, CNBC, Daystar Television, MSNBC's "Scarborough Country," Fox News Radio Network's "The Alan Colmes Show," the Associated Press, Entertainment Weekly, Los Angeles Times, Chicago Sun-Times and The New York Times in which he most often tackles the controversial entertainment issues that confront families. He was also featured on CBN's 700 Club, FamilyNet's At Home Live!, Focus on the Family's Mind over Media! video and Shine TV New Zealand. Bob regularly speaks to teens and parents on popular culture, and was called to testify before a subcommittee of California legislators on the subject of violent lyrics. Bob has written articles for several Focus on the Family publications (Focus on the Family!, Citizen, LifeWise and Breakaway). In May 1997, Bob was presented with an Evangelical Press Association "Higher Goals" award for an article on gangs written for Teachers in Focus magazine. He also co-authored Chart Watch (Tyndale, 1998), a book that includes more than 400 album reviews from a biblical perspective, and chapters on media discernment.